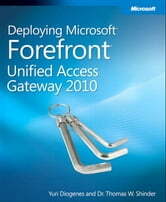 Plan, design, and deploy Forefront United Access (UAG) with insights straight from the Forefront team at Microsoft. 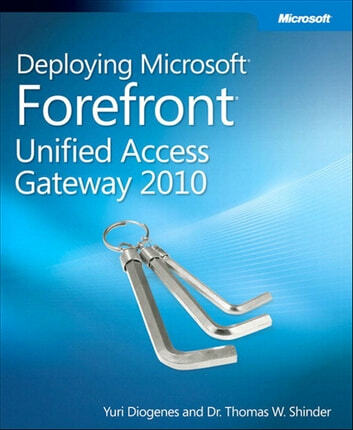 Forefront Unified Access Gateway (UAG)--the evolution of the Microsoft Intelligent Application Gateway (IAG)--delivers a more robust and transparent solution for inbound access from anywhere. This pragmatic guide drills into system components and capabilities, identifies software and hardware requirements, and provides scenario-based advice for planning and design, including policy control and availability and scalability considerations. You'll learn how to plan and deploy an SSL VPN solution for your environment, and how to publish applications through Forefront UAG, including Microsoft Exchange Server, SharePoint(R) 2010, and Windows Server(R) 2008 Remote Desktop Services.